Operating in both charter and scheduled flights, Allegiant Air is an affordable airline with corporate headquarters located in Summerlin, Nevada. This US based company started its operations in the year of 1988. It has 12 operating bases all around the US. It is a company that is publicly traded with over 2,000 employees. This airline operates 7 days in a week for 24 hours. Due to its continuous growth, it is in constant need of new employees. The low cost of their flights makes the experience of their clients more satisfying. The company prioritizes the comfort and convenience of their airline customers. The company also covers retired planning, offers wellness programs, free flights and guest passes to their employees, and the employees’ family members. 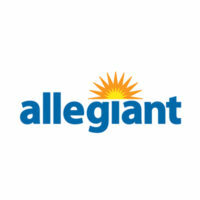 Allegiant also offers discount prices to partnered entertainment venues, cruises, car rentals and resorts. Employees have a chance to enjoy the benefits that the company offers them. It is the support system they give to their employees that makes it a pleasing airline to build a career. Depending on the position, the age restriction as an applicant may vary. It all depends on the job you wish to apply for. However in for you to be part of Allegiant Air, you must be 18 years old or above. Flight Attendant – provides outstanding customer service to guests, gives comfort, safety and security to fellow personnel within the airline and the passengers. It is a requirement to have superb communication skills. Customer Service Agent – requires the employee to meet requests, and transactions. Also, the agent must be attentive towards the customer’s needs. He is also responsible for processing tickets, assigning seats and checking baggage. Baggage Handler – performs various duties daily. He is also responsible in providing amazing customer service, handling baggage, monitoring carry-on luggage and processing customer tickets. Brand Manager – ensures that the brand of the company is being presented consistently to the media. He also monitors the trends within the market. He is also responsible for improving market share and product sales. Allegiant Air offers other positions for interested candidates such as quality control representative, airframe and power plant mechanic, line maintenance supervisor and quality assurance auditor. You can apply for Allegiant Airline through their website if interested. The company is always looking for interested candidates. Because they are a growing industry, it continuously searches for competent employees. Online applications are available for the convenience of interested candidates. Once you enter their site, feel free to browse through their Job/Career section to fill in a form. Make sure to answer truthfully and give the required information. Upload your resume through the company website along with your email info and your name. Applicants need to create profiles. This lets them send multiple applications for any position in one go. A quality resume is crucial to secure your position within the company. It is important to answer the date field with sincerity to let the company know that you are genuinely interested in working with them. It will take at least 2 weeks to receive and process your application. During the interview, applicants need to prepare for questions that will give the interviewer insight, such as why they wish to work for the airline. Candidates must show confidence and the drive to be with the company and the willingness to work in a possibly hectic environment. Allegiant Air embraces the continuous change within their industry and strives to be innovative through the years. Fairly young, it relies on entrepreneur flexibility and attitude and sticks to their company values within this a fast-paced industry. As of the year 2016, Allegiant focuses on providing vacation packages for their customers. It has been their plan to be considered as a travel company rather than an airline for almost 20 years. Mentioned by Aviation Week, an online magazine reporting news amongst the aerospace industry, Allegiant received their award rating as one of the Top Performing Airline in North America by the year of 2012. They have also been noted as the Fastest Growing Companies in Fortunes 100’s. The company plans to give office space to Southern Nevada’s Make-A-Wish Foundation. This non-profit foundation provides joy and hope to young children who suffer from diseases by granting their wishes. The company will offer over 7,000 square feet to the foundation for a dollar a year.